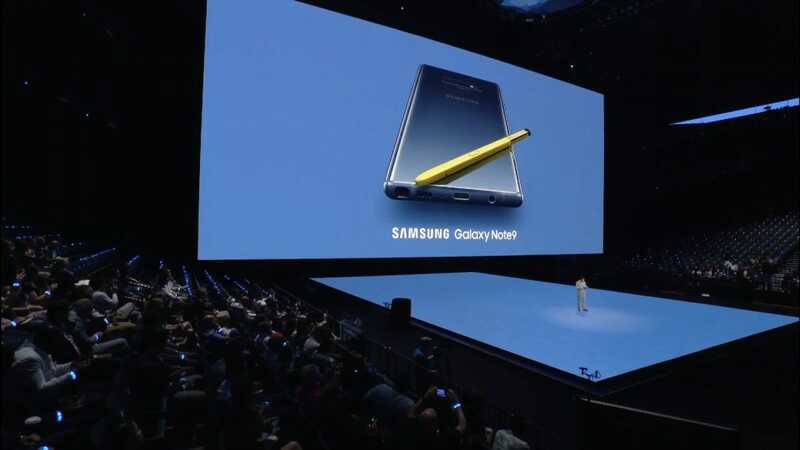 Today, Samsung announced the new Galaxy Note 9, with an upgraded Bluetooth S-Pen and built-in storage up to an insane 512GB. But it will cost you four figures no matter what model you get. The new Galaxy Note 9 features a positively massive 6.4″ 2960×1440 OLED display, which Samsung says is the largest display of any Galaxy Note so far. It comes in four colors: blue, violet, orange, or black. In the case of the latter three, the S-Pen will match the frame of the phone itself. However, the blue Note 9 includes a yellow S-Pen that looks a lot like a #2 pencil. The new S-Pen is getting an upgrade with Bluetooth functionality that allows you to use it as a remote control. 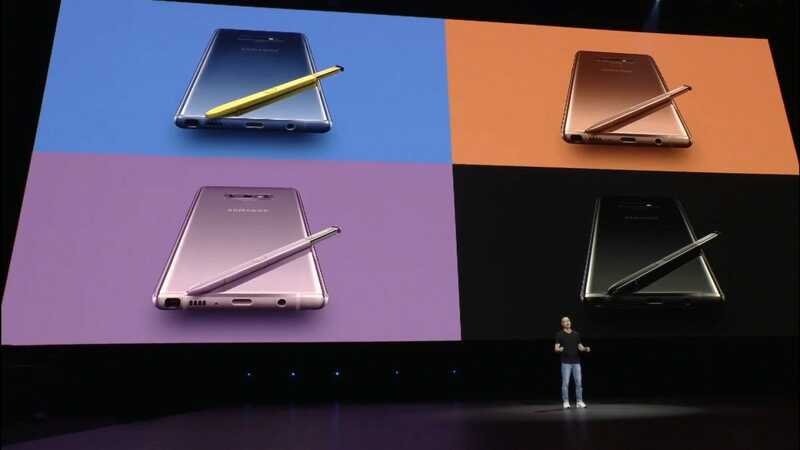 Samsung demonstrated using it as a remote shutter button for selfies, to play and pause YouTube videos, and—just to show off—they used the new S-Pen to control the presentation where they introduced the new S-Pen. We’ll have to see how many apps support remote controls (or how many you’d even want to control remotely) once the phone is out, but it’s cool that it’s possible. This will mean you’ll have to charge your pen, but you can do so by sticking it back in your phone. If the S-Pen’s battery dies, you can still use the old stylus features that you’re used to. While the pen may be the iconic feature of the Note line, it’s also been a spec upgrade over the standard Galaxy S series. This new one takes that low-key mission statement seriously, with a Snapdragon 845 10nm processor, a huge 4,000 mAh battery (up from the 3,300 mAh battery in last year’s model), a respectable 6GB of RAM (upgradeable to 8GB), and a minimum of 128GB of built-in storage. If you want to spring for more, you can upgrade to as high as 512GB of internal storage. The phone also has a micro SD card slot which supports up to 512GB of additional storage, for a full 1TB of possible space. Also, Samsung claims the phone is capable of up to 1.2Gbps internet speeds but, let’s be real, your network probably won’t provide that any time soon. 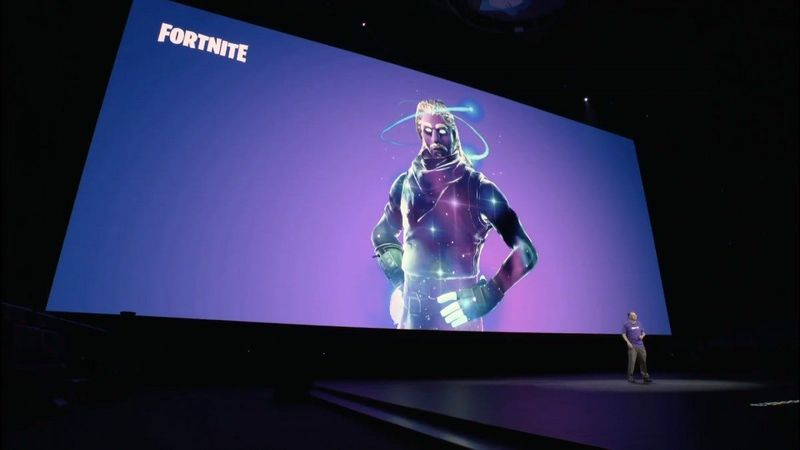 If you’ve been clamoring for Fortnite on Android, then Samsung is gonna make like X and give it to you. Starting today, users with existing (recent) Samsung phones can download the Epic Games launcher. If you get the new Galaxy Note 9 or Galaxy Tab S4, you’ll get access to the above special Galaxy skin. The game will be an exclusive to a short list of Samsung phones for the next few days (largely the Galaxy S7 or newer), after which you’ll be able to try out the Fortnite beta on a much larger set of Android phones from a variety of manufacturers. If all of this sounds great, you might be waiting for the bad news. Well, here it is: this phone starts at $1,000. You read that right. For the base 128GB model, you’ll need to shell out $1,000 (or get on a pricey payment plan). If you want the beefier 512GB model, it will cost you $1,250, which is even more expensive than the highest capacity iPhone X (though, to be fair, it also has twice the storage space as that iPhone). If you’ve been thinking that your phone just doesn’t cost enough money these days, then Samsung is here for you. You can pre-order the new Note 9 at 12:01AM on August 10th (or midnight tonight, if you’re reading this on Thursday). The phone will ship August 24th. Bluetooth speakers are great for portable music playback, but for those times that you want to take them somewhere a little more off the beaten track, you need something a little more rugged. Here are our top picks for the best rugged Bluetooth speakers for your next outing.